Just in time for the holidays! Fenty Puma by Rihanna now get 3 new velvet styles, as the first style of her PUMA by Rihanna Collection and FENTY label, the PUMA Creeper remixes the iconic PUMA Suede with a little bit punk and a little bit rebel. 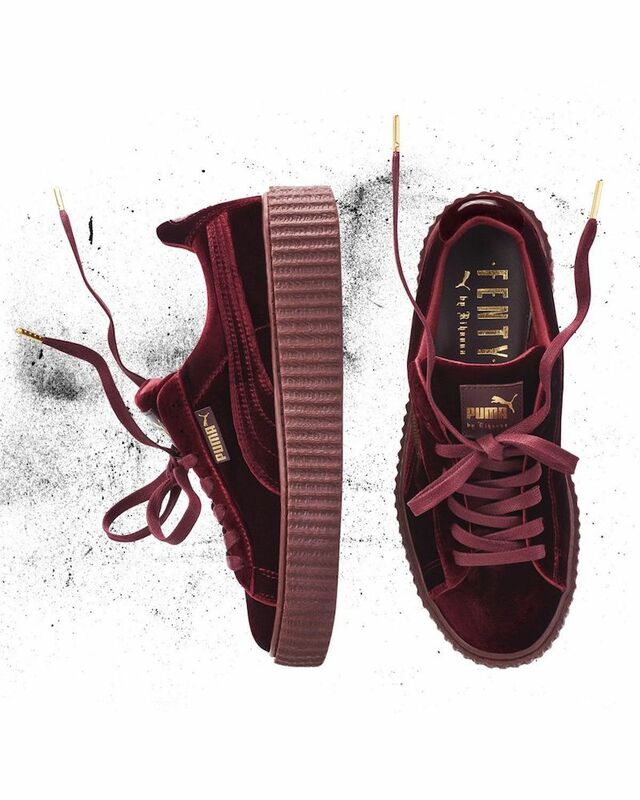 Shop Fenty Puma by Rihanna Velvet Low-Top Creeper at Neiman Marcus.